This is a simple design I created to feature the beads with a crochet motif. 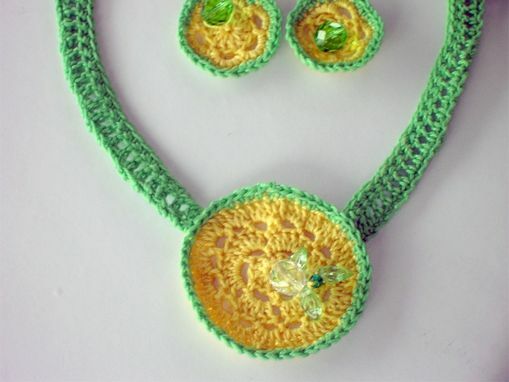 I used cotton crochet thread and Czech glass beads. 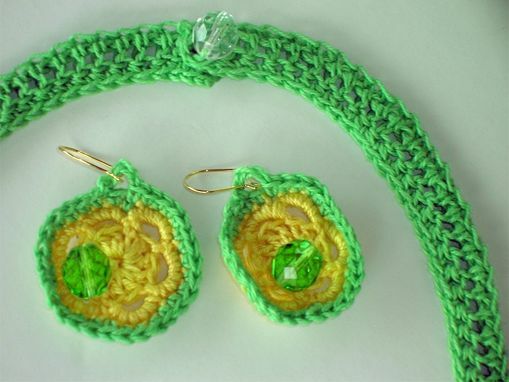 I also designed and crocheted the earrings in the set. This style is more contempory in it's simplicity. 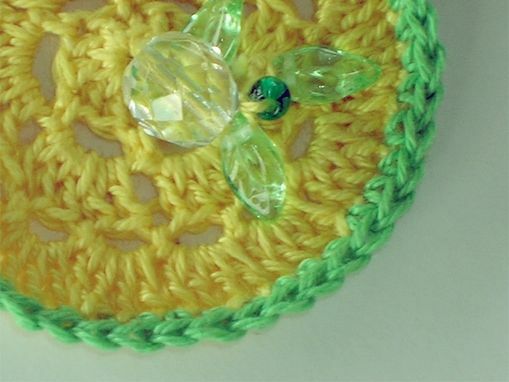 I can make all kinds of these desins in various colorways.